Gorgeous hotels, beautiful beaches, 5 star hotels and gourmet food are popular choices for luxury travelers. While focusing on the comforts of your trip is important, one should also think about having a unique and meaningful experience. As a luxury traveler, are you following the trends? In this article, we will discuss five tips for luxury travelers in 2017. According to TripAdvisor’s survey, approximately 42% of travelers worldwide use smartphones to plan or book their trips. I would say for most luxery travelers, this number is probably quite low. Based on the study, Thailand and China rank top list of world’s most connected travelers. The use of smartphones, especially trip related apps, enabled international tourists to adapt the flexibility and freedom to travel. As luxury travelers, you will want to stay on top of tourists information before the trip. You should check with your cell phone carrier and purchase a travel plan for your trip, see if there’s a flat rate that will allow you to use your data abroad or simply purchase a sim when you arrive and put it into an unlocked phone. Luxury travelers are often interested in a personalized and customized luxury travel experience. They may want local connections along with a one-of-a-kind vacation. For example, if you are going to visit Li river in China, it is recommend that you hire a local tour guide for a private tour, followed by watching a spectacular night show – the Impression Liu Sanjie. Directed by the famous Chinese film director Zhang Yimou, performed by all local residents, a musical of the legend of Liu Sanjie. This way, travelers will experience the most authentic culture and custom in China. You should talk to your hotel concierge for personalize travel experiences as well. There are many websites that provide best luxury hotels in the world. As luxury travelers, you will want to check out hotel packages on whether include breakfast, spa, hotel chain credit, dinners, etc. Even the finest hotels offer special rates and discount. Many travel websites require membership (mostly free) to receive their updates about hotel offers and packages. You don’t want to miss out. Once you are good and ready for your luxury trip, don’t let medical issues ruin your vacation. It is very important to obtain a comprehensive travel medical plan before you go. If you are traveling abroad for a short term trip and less than a year, it is critical to obtain travel medical insurance that will cover emergency illness or injuries abroad as these claims can really add up. 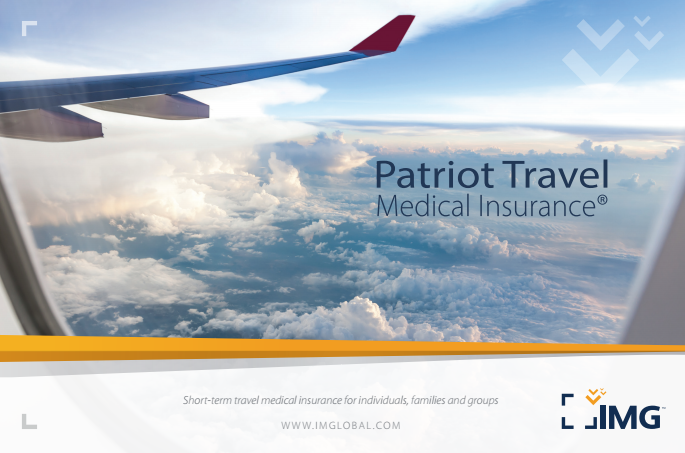 Our firm offers several travel medical plans from various insurers and providers. We offer excellent Canadian travel insurance plans for Canadians with provincial coverage and the IMG Patriot travel insurance coverage for citizens residing in most coutries around the world traveling outside their country of citizenship. The plans offer excellent emergency travel medical and evacuation coverage. We can also offer trip cancellation coverage to residents of Canada. We also offer the more deluxe travel medical plan from BUPA travel insurance via our travel insurance web site if you reside outside of USA, Canada and Japan. You can be covered for single trips up to one year purchase an annual multi-trip plan for unlimited numbers trips up to one month per trip. Traveling during the high season will always cost you more money, but did you know that some destinations have slow seasons that may be high season in other regions. You can usually gauge the prices by checking the plane and hotel rates in different dates. If you can, don’t travel during the holidays or school breaks and that luxury trip might even have a more budge price.